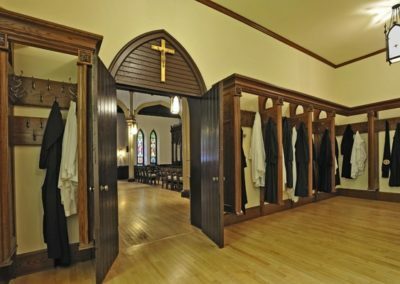 To restore and revitalize areas of St. Mary’s Chapel at the Nashotah House Episcopal Seminary in Wisconsin, and its adjoining Sacristy and Vesting Room. In its long history, areas of this wonderful building have fallen victim to age, weather damage and well-intended, but unattractive, modifications. 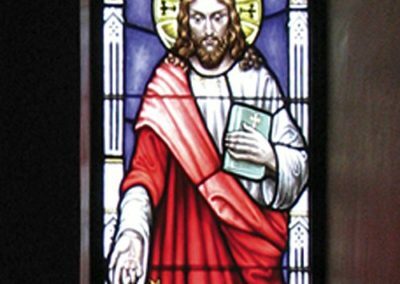 CSS will provide spiritual and visual continuity in this restoration. 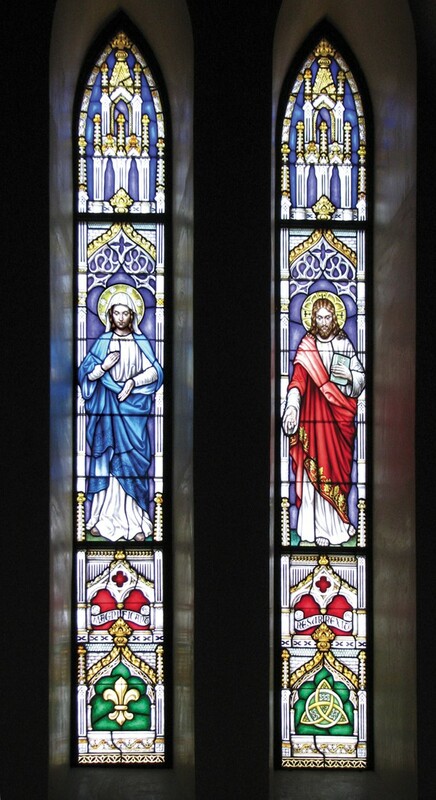 Working with the Nashotah House community, the Studio will restore the beauty and original intent of these spaces. 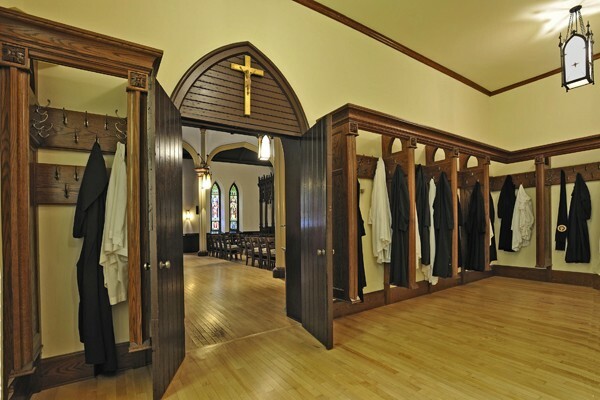 The magnificent woodwork that is so dominant in the chapel will be emulated throughout the vesting room and sacristy. 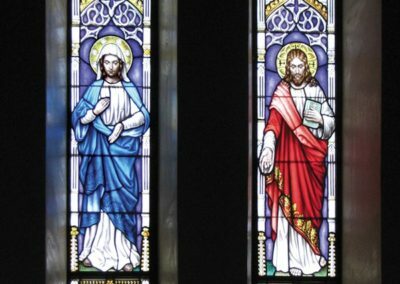 Elegantly painted new, stained glass windows have replaced the stone in the window openings providing light and a feeling of spirituality. 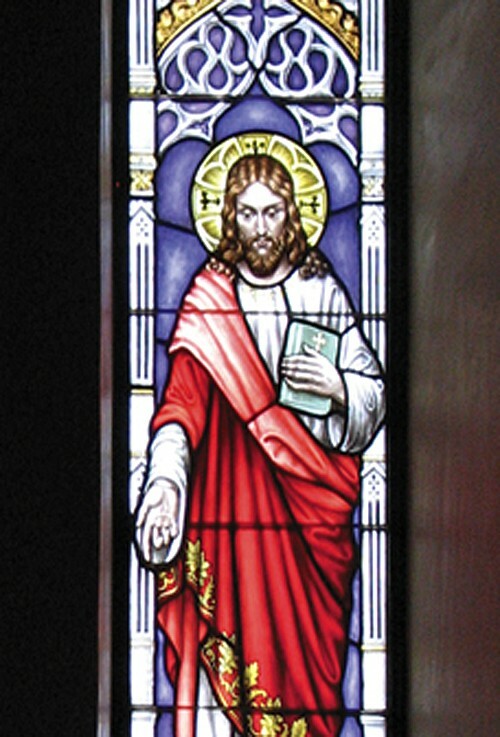 Future restoration includes stained glass in the chapel and vesting room; custom furniture designed for the space and function of each room and new lighting in the chapel and vesting room.